Increasing your company’s awareness of business goals, strategic alignment, and company culture need only take a few minutes of your time each day. One of the simplest yet most powerful things a leader can do to improve alignment within their organisation is to work out loud. What does that mean? Essentially, it’s about narrating elements of your work and considering whether information that passes your desk, from articles and links to pitches and ideas, might have value to the wider workforce. For leaders, the benefits of doing this are tenfold. It can increase your influence and presence within the organisation and make you a better writer and communicator. What’s more, it can cultivate a kind of crowdsourced sense-making network of people who are ready and willing to offer feedback and responses to what you share. In a nutshell, it has the power to generate discussion. Now, I know what you’re thinking: “I’m so busy! I don’t have time.” But don’t stress; we’re not talking about crafting lengthy blog posts or articles. Communicating with staff has changed from the early days of blogging. Back then, communications professionals would regularly nudge CEOs towards the keyboard, encouraging them to produce content. Though this provides the business with valuable feedback from employees, and is a means for CEOs to clarify their own thinking, it’s also time consuming and can be a rather one-way form of communicating. Many of us are now living out loud: sharing life events, checking in, posting holiday pics on Facebook, and Snapchatting videos of our too-cute pets. By exposing more surface areas like this, further opportunities for human connection and understanding can be explored. 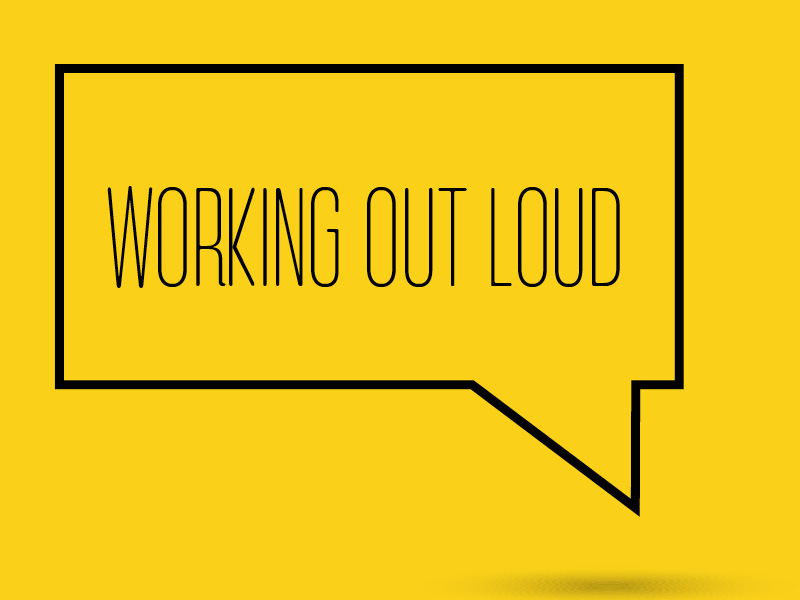 The investment case for working out loud is a no-brainer. It can be as simple as sharing links through services like pinboard.in, Pocket or Diigo, or providing short updates on internal communication channels like Slack or Yammer. A moment of your time spent sharing a potentially interesting link, observation or question can generate great value for the wider organisation. This simple act gives people an insight into your thinking and priorities; it also cultivates an attitude towards the sharing of useful information within the business. As a leader who holds a position of centrality in the various networks of an organisation, you have the potential to shine light and attention on interesting information that is not accessible to everyone. Think about sharing short updates, websites or influencers who’ve piqued your interest, new technology proposals or innovations. If someone internal or external pitches you an idea and you’re not sure if you can use it, share it with your networks; there’s a likely chance the pitch will resonate with a colleague or employee and they will pick it up. This notion is as much about acting as a rebroadcast station as it is about sharing your own original thoughts and ideas. A moment of your time spent sharing a potentially interesting link, observation or question can generate great value for the wider organisation. In order to create a culture of dialogue and collaboration, and the kind of collective awareness that makes for a more productive organisation, people need to be more connected. Social media certainly enables this to happen; however, it’s still common practice for communication to travel up and down the business in closed formats, such as email. This reinforces hierarchical relations and can hold a company back from its full potential of being as connected as possible. Executives can lead by example: instead of coordinating on a hierarchical level, try coordinating through networks as well. As with physical sensor networks, this requires network nodes to be talkative. Many of us are now living out loud: sharing life events, checking in, posting holiday pics on Facebook, and Snapchatting videos of our too-cute pets. By exposing more surface areas like this, further opportunities for human connection and understanding can be explored. At work, however, the communication is different — we still tolerate email, communication is closed and we use more primitive forms of connection for work coordination, especially those people at the top. Creating more agile, connected companies will only happen if leaders and managers want it to. It’s their culture and behaviours that set the context and tone for how others operate. 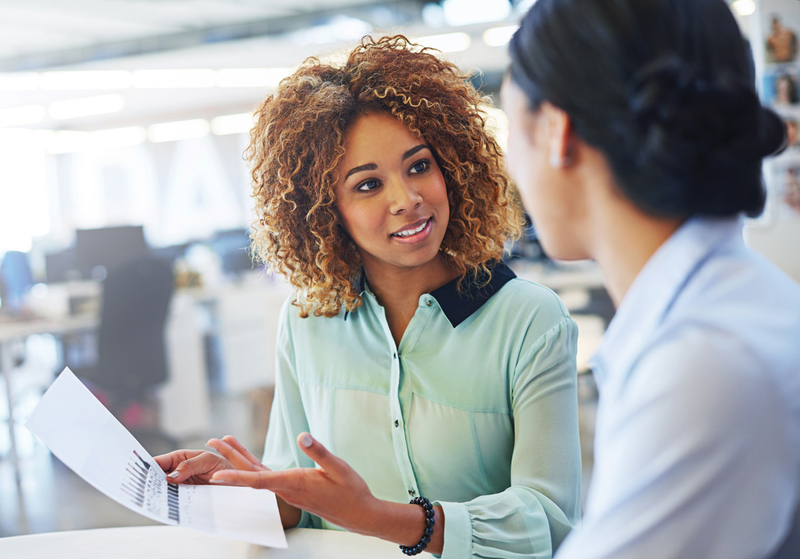 If leaders are encouraged to narrate their work and to share their thoughts and ideas with their teams, those teams will have greater awareness of the goals of leaders and a much greater alignment to the company’s strategic direction. This could improve not only management culture, but also the general working culture across all levels by giving employees the permission to share and collaborate in a safe and supportive environment. Narrating your work and feeding your network is a crucial skill for leadership in the agile era, but it is absolutely not the norm today. That needs to change. Lee Bryant is Co-founder of Postshift, which creates Twenty-First Century organisations using new technology; he previously founded Headshift, which pioneered social technology in the enterprise.